This Campaign is supporting the future of Christian Science. If Christian Scientists don’t support, in a very meaningful way, the cause of Christian Science, who do you think will? 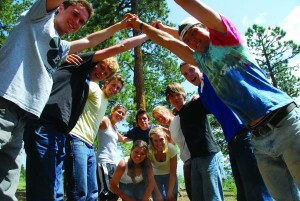 The Bridges to the Future Campaign will ensure that there are sufficient programs, facilities and staff to allow thousands of young people each year to experience “healing in action,” whether in the magnificent setting of the A/U Ranches in Colorado or in a myriad of DiscoveryBound Chapters, National Leadership Council and young adult activities that take place at local, regional and national levels. At all Adventure Unlimited – DiscoveryBound activities, there is time and space for spiritual growth, inspiration and quiet reflection. There is also time to bond with CS peers, and to form friendships that last, not to mention an ever-deeper commitment to the cause of Christian Science. We believe that investing in this Campaign will have a lasting benefit for both participants and the larger Christian Science community. The effort is based on careful planning by the Board and staff of A/U-DB, and on outreach to a cross-section of volunteers, program participants and donors. There is a demand for what it will provide. Delve into the links related to the Campaign on this site, ponder, ask questions and invest in this Campaign. We know you will be glad you did. Your gift, combined with those of others, will make a definite difference. Together, we can create Bridges to the Future! The spirit of Love and mutual support that pervades A/U-DB makes all things possible. This campaign has a large goal, but it is one that can be met. It is based on a vision that A/U-DB “be recognized as a vital community where every individual experiences God, and spiritual seekers develop a commitment to healing and serving mankind based on the application of Christian Science.” What better investment could any of us make than that? It is a joy to see the love, generosity and selfless work that allows our CS young people to grow, meet challenges and form friendships all in an atmosphere conducive to Christian Science. We welcome your gifts, your service and your partnership in sustaining a grand and worthy vision. Those of us on the staff of A/U-DB have the privilege of seeing the impact of our work. Emails, notes and conversations with parents and volunteers reveal the depth of lives touched – sometimes months or even years later. 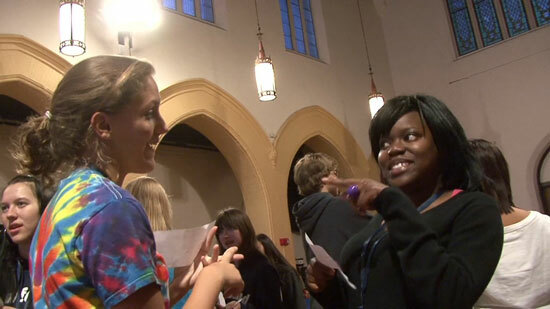 We are deeply committed to giving young people opportunities to experience spiritual growth, peer support and “healing in action.” This Campaign will secure the possibility for the young Christian Scientists of today and especially tomorrow to grow and thrive in an atmosphere of genuine and generous support and in a spirit of Christian community. We hope you will join us in making this a reality. We are so grateful to our Campaign Committee for their dedicated work and support of our vital Campaign, and to our dedicated Board of Trustees, who have helped navigate, guide and lead our Campaign efforts.